Two Bears Farm and the Three Cubs: The Battle of the Stinkbug with Giveaway! The Battle of the Stinkbug with Giveaway! If you've been following my blog for a while, you know that we have battled and battled the stinkbug population the past couple of years. It's definitely been a losing battle. We've tried all sorts of remedies and traps but still they descend on our house each Fall and put me in the grumpiest of moods. This year we tried to be proactive by filling in some small cracks before stinkbug season rolled around, and I do think it helped, but we still have a few that have made their way in. I have good news, though! 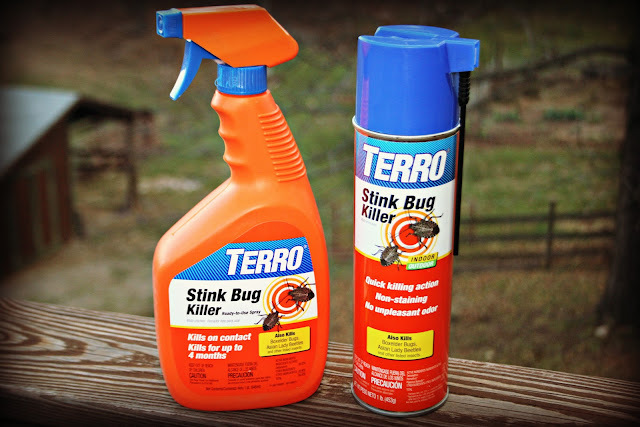 Terro has recently released two Stink Bug Killer sprays. One comes with a nifty little straw for spraying in those tiny crevices, like all the ones we have in our logs. Even worse? Look at what I found when I lifted up the flaps to look underneath. Gah, totally creepy! They were in every little saddle crevice! And I have several saddles. 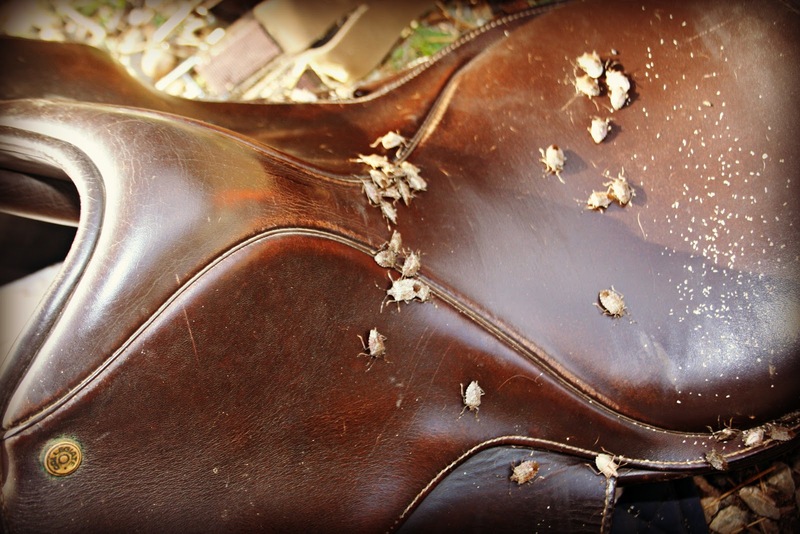 I knocked all the stinkbugs out, because I didn't want to spray the Terro directly on my saddle leather. Instead, I sprayed the ground where all the nasty little stinkbugs were scrambling about. 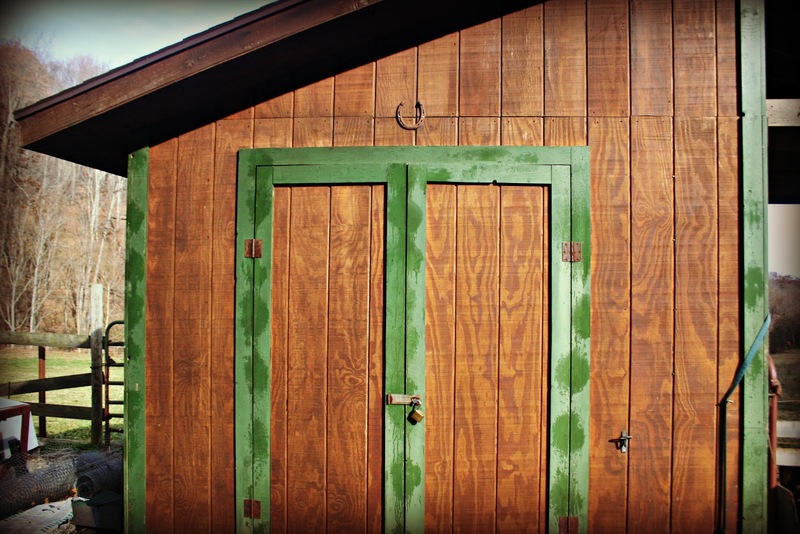 Then I sprayed along all the crevices and windows inside our tack shed, and followed up with a good spraying along the outside as well, which you can see below. You know what's great? The Terro Stink Bug Killer works for up to 4 months, so any little creepies crawling through it anytime soon will be a sorry little creepies! If you want to learn more about Terro products, you can check them out on Twitter and Facebook. And if you'd like to put Terro Stink Bug Killer to work at your own place, you can enter my Rafflecopter giveaway, below! Disclaimer: I received the above pictured two products for review purposes. The opinions stated above are my own. Great product ! We had a ton this year . Hope you have a great start to your week . We have had a terrible time with ants. Thankfully we have missed out on the stink bugs. I don't like those things... we get a few of them but nothing like what you get. Yuck!! We don't have as many this year as last year, but you're right--they're creepy! It's good to know there's something out there specifically for stink bugs. i sure hope it works well for you! I'm a fan of the Terro ant killer, so I imagine the stink bug stuff works well. What a gross amount of BUGS! This is an awesome giveaway. My son has been battling stink bugs for a few years. I learned that the spray also kills spiders and leaves a barrier that a long time. HI Lisa, We don't have Stink Bugs here (I hope) ---so I wouldn't need that product. BUT--I'm glad you found something which works for you. Hope you and your precious family had a great Thanksgiving. Lisa! Those are stick bugs? seriously? I didn't know that. I have seen those before but not many. I guess we don't get those much. We get boxelder bugs - OMYGOSH. They were horrid about 2 summers ago and then not so bad in the past two summers. Stop by and see my full length body in a thrifty find post. k? Ewww so gross! Hopefully this spray will work well for you guys. That's too many bugs! We don't get the stink bugs here much, but the Asian lady beetles like to hide everywhere in winter and we find them in the darnedest places. Hope your spray works! I hate those bugs! I've even found them crawling on my bird feeders and eating the seeds. They do put one in a foul mood. Thanks for the product info! I'm going to check it out. We battle Asian Beatles here! They nibble our leaves up. They end up having holes all over them. Lisa, don't include me in the giveaway, I don't have stinkbugs. I'm sitting here, grimacing, at your collection...ugh! Ugh! We get stinkbugs here, but not like that. I'm glad you found something that works! Uggh! Nasty little critters, indeed! 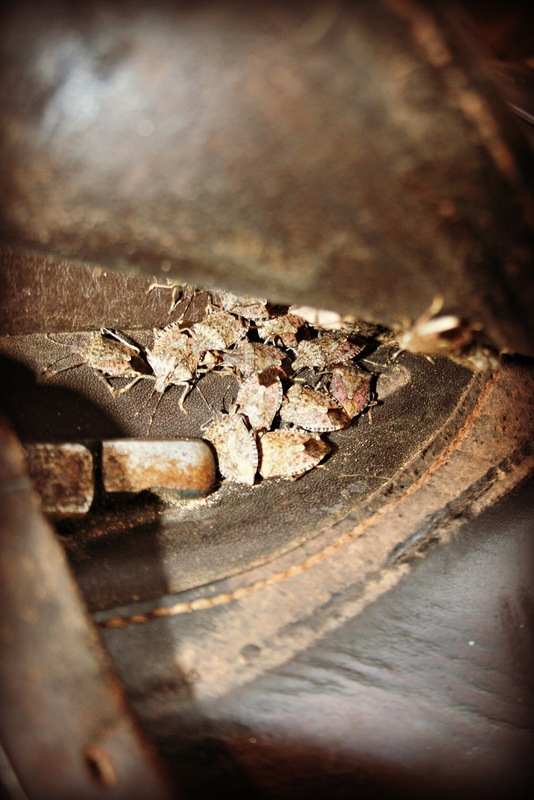 I don't think we have stinkbugs here--are they really stinky? Why do you not like them? Do they do damage? We get boxelders, but I don't think they really do anything but just hang around and freak people out. The stink bugs have been horrible around our neck of the woods this year! We find them everywhere and I hate it when they get in the house. I had no idea Terro made a killer for them or I would have been using it. I need this :) Thanks for the giveaway, Lisa!